Why We Should Recycled More Plastic. It doesn’t matter who you are, it doesn’t matter where you live, we all have a part to play in the future of our planet. One way that we can do our best to protect it, is to take more care and interest in recycling. 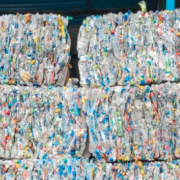 Recycling is not only easy, but it can have a huge impact on our world. But it still remains to be something that we are not always able to do. Especially when it comes to plastic. So, what are the statistics regarding plastic and why should we all be making moves towards becoming more efficient and effective at recycling plastic. In the UK alone, 513,000 tonnes of plastic bottles are thrown away each and every year. This equates to around 8 billion bottles worth of plastic. We might not think about where that plastic goes when we throw it in the wheelie bin or pop it in a bag, but it is important that we all pay more attention to the end destination. Much of the plastic that is thrown away will then end up in the landfill, and we all know that these landfill sites are getting incredibly full and causing a problem. Whilst some plastic may not be recyclable, there is plenty that is, which means that more and more of us should be making an effort to recycling plastic that is used in their household. So, with many people still not recycling their plastic, something needs to be done in order to encourage them. Really, all it needs is for them to take a look at the different reasons why plastic is a must when it comes to recycling. Reasons, just like this. When you are making a product from plastic, you are going to be using fuel and energy, as well as pushing chemicals out into the environment. In fact, you may not be aware, but it takes two-thirds less energy to make products out of plastic that has been recycled, then making them out of brand-new plastic. The amount of waste that is making its way into landfills is a real problem and something needs to be done about it. The only way that the problem is going to be made better is to ensure that we limit the amount of rubbish that ends up in the landfills. One way to do this is with recycling. Plastic is one key area that we need to focus on, this is because, despite it being light, it is actually quite bulky and will take up space. As you can see, there are plenty of reasons why plastic should be something that we make much more of an effort in recycling. Think about what you are putting into your bin and in turn, you may be surprised by how much of an impact you can have on the world around you. https://3sixtyhome.co/wp-content/uploads/2018/10/recycle-plastic-.png 319 993 admin https://3sixtyhome.co/wp-content/uploads/2018/12/sustainable-hotel-linens.png admin2018-10-26 10:16:512018-10-26 10:16:51Why We Should Recycled More Plastic.